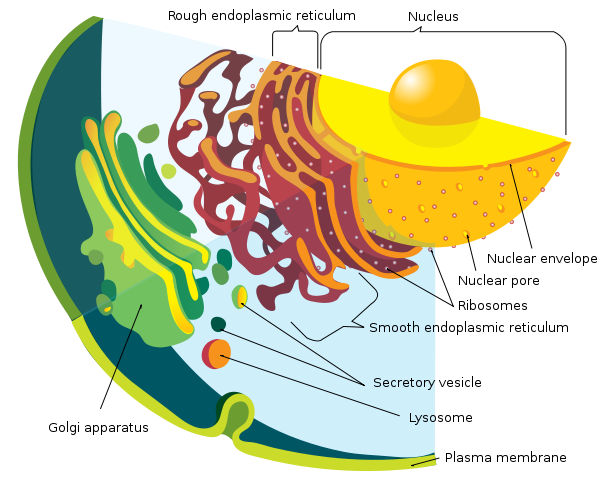 In cell biology, an organelle is one of several structures with specified functions, suspending in the cytoplasm of a eukaryotic cell, or prokaryotic cell. Unlike in eukaryotic cells, prokaryotic cells do not contain membrane-bound organelles. However, they do contain some non-membranous organelles such as ribosomes flagella, and plasmids (circular DNA structures that are not involved in reproduction). 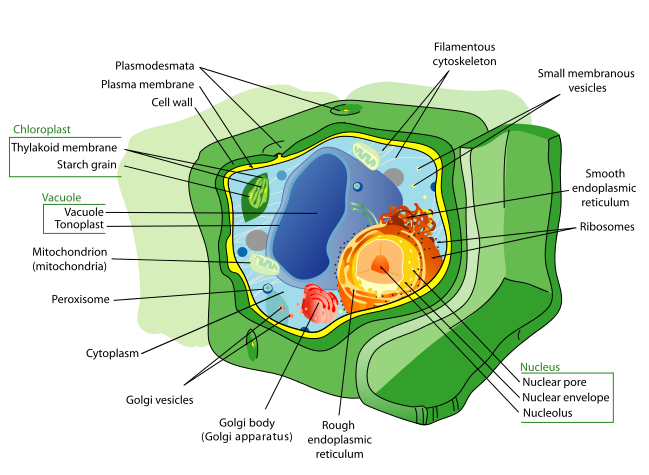 Eukaryotic cells have a true nucleus. Their DNA is not separated from the rest of the cell, but is coiled up in whats called a nucleoid.